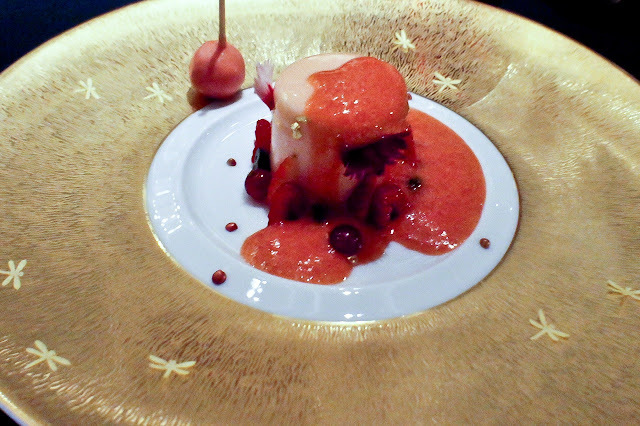 Joel Robuchon is the newly-opened French fine-dining restaurant in Singapore by the renowned chef of the same name. 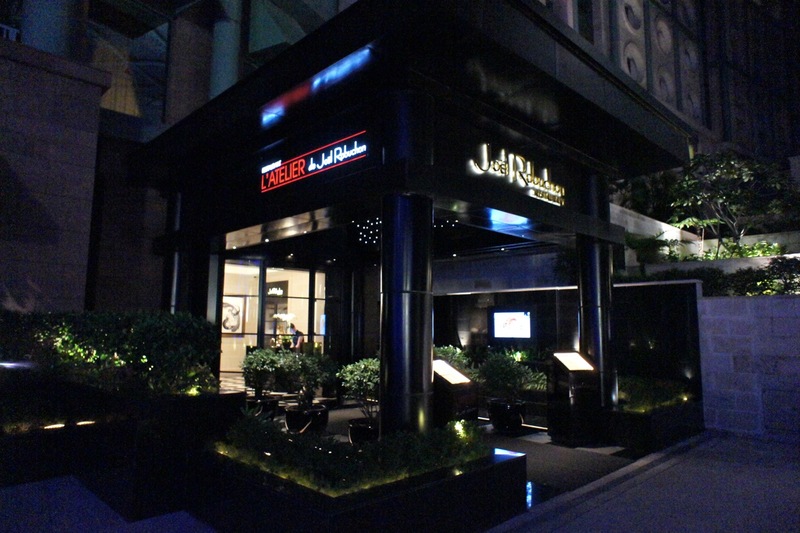 He has a very strong presence in Asia with top establishments in Macau, Hong Kong and Tokyo (see earlier reviews: Robuchon a Galera (Macau) and Le Jardin de Joel Robuchon (Hong Kong)), and we were very keen to see if he could match our sky-high expectations with his new outlets in Singapore. The restaurant is located at the ground floor of Hotel Michael, one of the hotels of the Resorts World Casino and Integrated Resort in Sentosa, Singapore. Next to it is L'Atelier de Joel Robuchon which is the slightly less formal restaurant of the same chef, where there is bar-top counter dining. 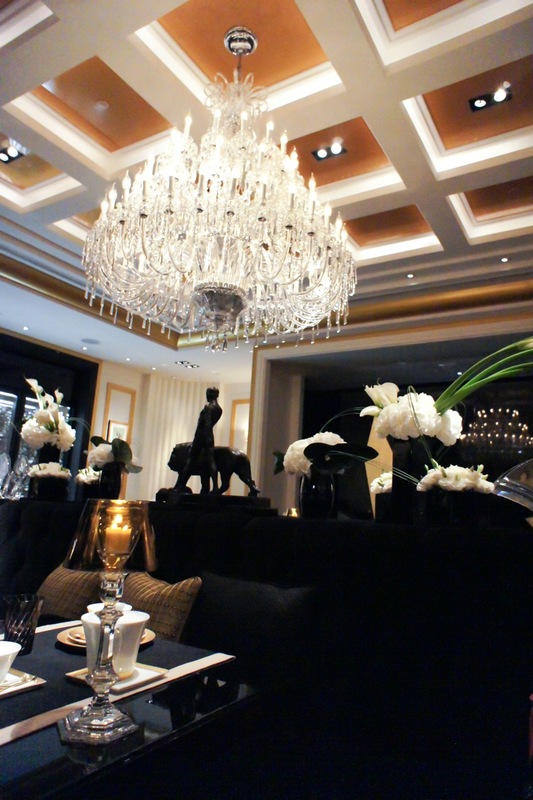 The interior of the restaurant was luxurious and modern, with a large chandelier dominating the dining room, and fresh lilies adding a soft touch to the stark black furniture and tapestries. 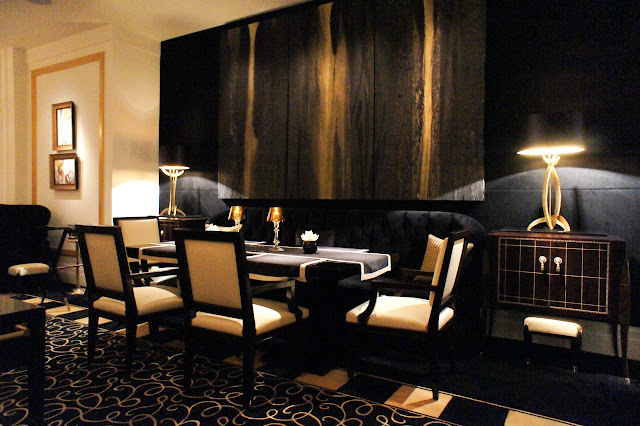 The room was reasonably well-lit, and interesting sculptures and lamps caught our attention. The table setting was very impressive as well. 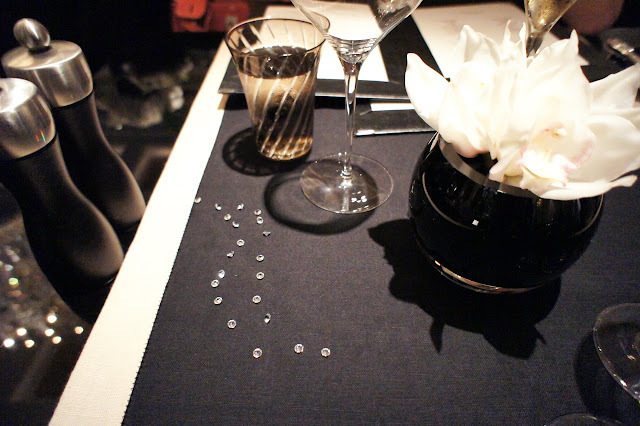 Small crystals were laid out on the table to give some glitter. We started by ordering some Bruno Paillard Champagne and a bottle of 2002 Gevrey Chambertin Premier Cru from Bruno Clair, which had a fragrant nose and was deliciously full-bodied. Robuchon had an impressive bread trolley, with a large selection. 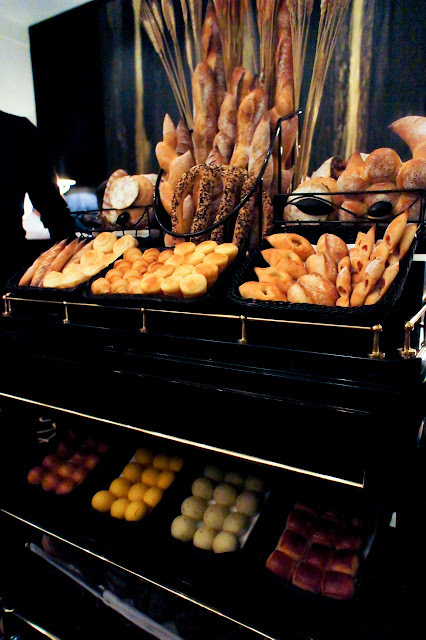 We were excited to see if the brioche here was as good as the one in Macau, but sadly it wasn't. Amuse bouche was a very substantial bowl of salmon tartare topped with a generous topping Oscetra caviar on a bed of ice. This was very good. 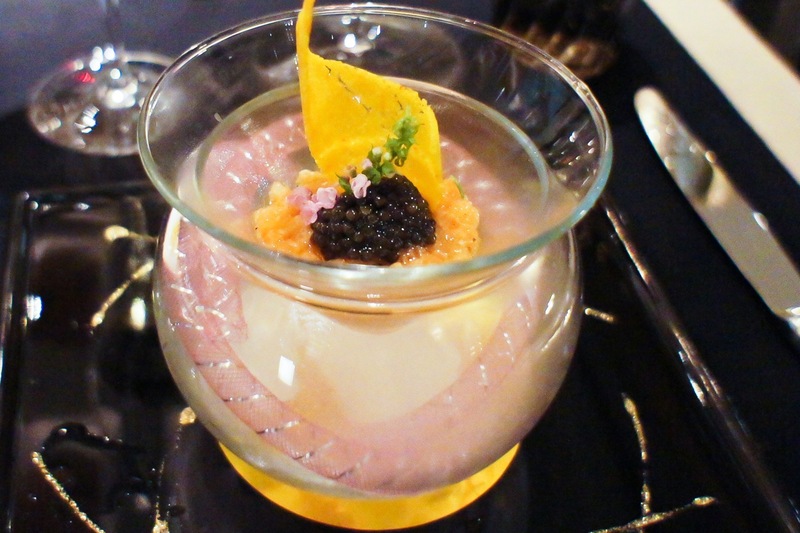 The salmon was fresh and slightly spicy, bringing out the taste of the caviar. For the meal proper, we opted for the 6-course menu whereby we were to pick out 1 entree, 1 soup, 2 main courses and 1 dessert from the menu, and the meal would come with cheese as well. This was the largest menu aside from the degustation menu which was 16 courses and pure madness. We each picked different dishes for each course (without replication). Le King Crab: King crab and asparagus blanc manger, medley of seasonal vegetables - Very refreshing, with the asparagus blanc manger (which is a pudding and tastes like panna cotta) especially interesting. The large chunks of crab meat were juicy and succulent. 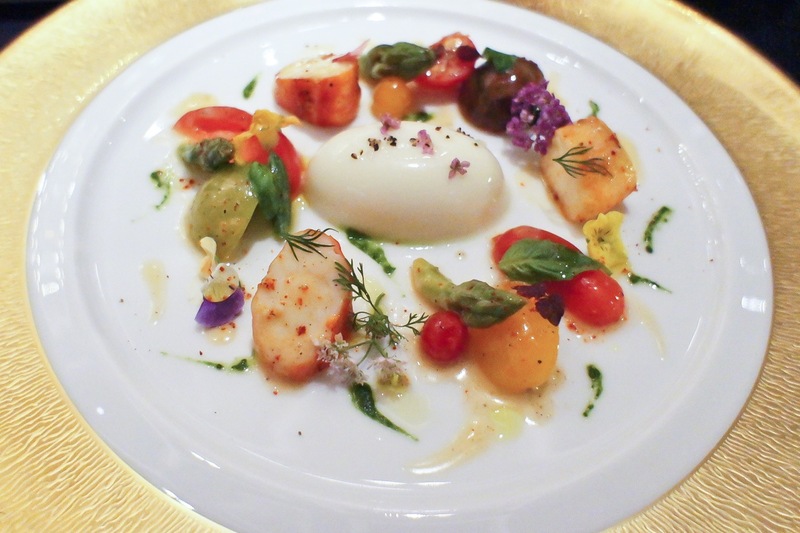 I liked how the various flowers and vegetables brought out different flavours with the crab meat and the blanc manger with each mouthful. 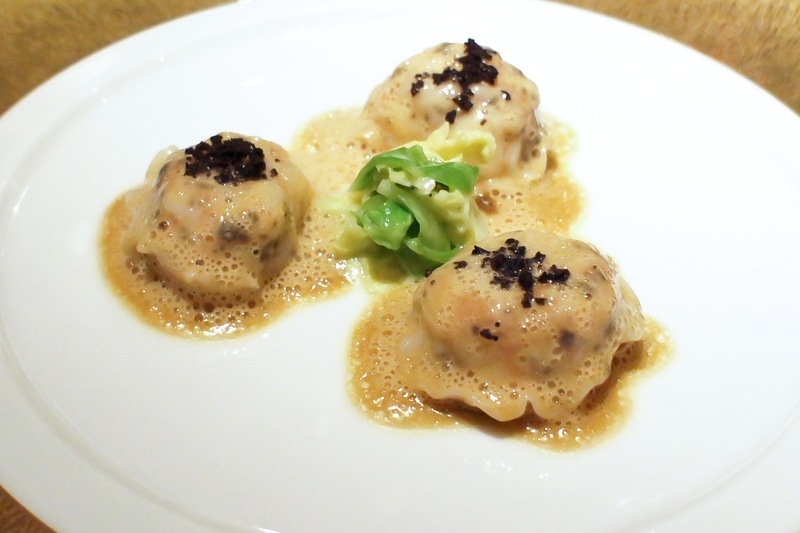 La Langoustine: Truffled langoustine ravioli with chopped cabbage - This was highly recommended and did not disappoint. The lobster was tender and tasty, and the black truffle sauce brought the dish to the next level. Les Petits Pois: Light green pea veloute, refreshed with peppermint on a sweet onion cloud - Decent enough without being remarkable. 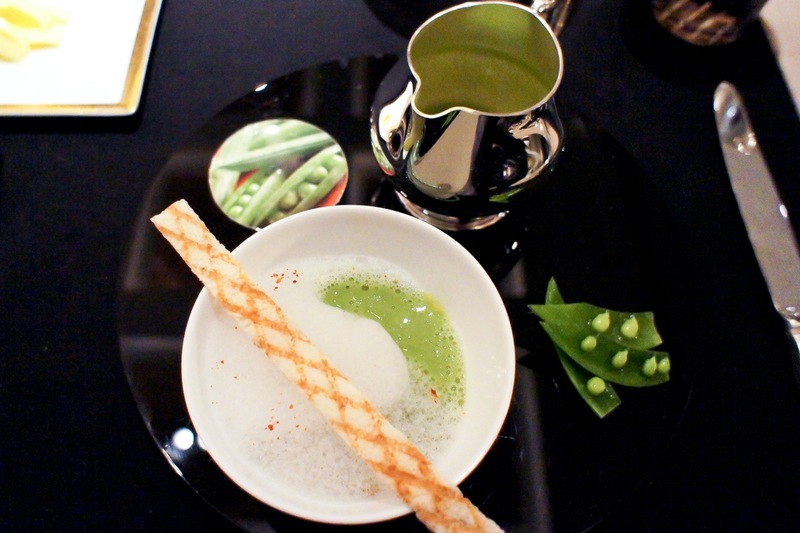 The soup was well-executed, but ultimately it was a simple dish and tasted that way. There was a strange sticker of peas on the plate, which I tried to scratch out to see if it was edible. It wasn't. Le Soja: Soy, cappuccino germs on a royal flickering of Shimaji - This was curiously interesting yet turned out to be very good. The layer of jelly on the bed of tofu was slightly tangy and with the foam and mushrooms, this was a very Japanese-inspired dish (the head chef here is Japanese). Was a good entree yet didn't appear to be much of a soup. La Langouste & Le Homard: Duo of langoustine and spiny lobster cooked in a cocotte with saffron bouillon - Good and hearty yet slightly disappointing because the langoustine was chewy. The lobster was great and the saffron bouillon was delicious but the dish was let down by the langoustine. 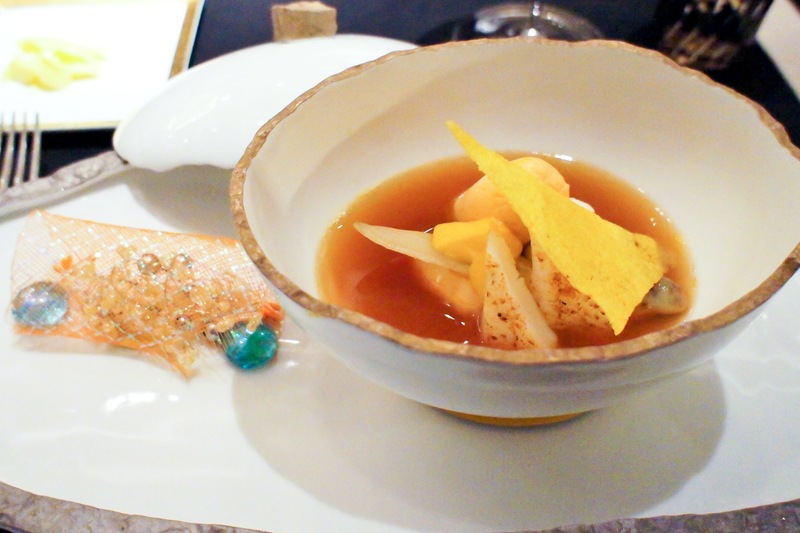 I was puzzled by the item on the left of the bowl and tried to eat it (I always thought that if it was on the plate it was meant to be eaten), however, this was for decoration only (another curious aspect of this dish). 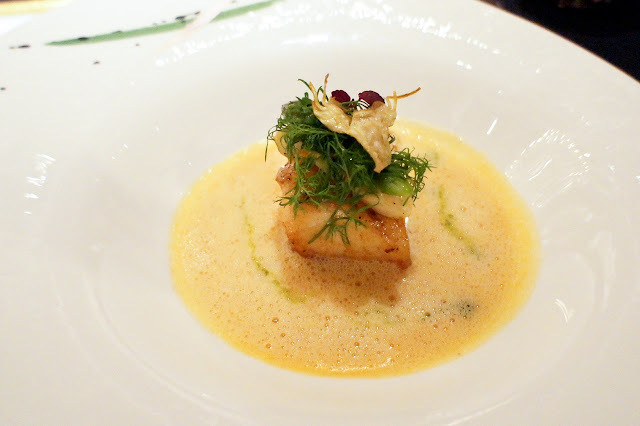 Le Bar: The sea bass and abalone with lemongrass emulsion and baby leeks - This was excellent. The fish was fresh and cooked to perfection. There was a slight peppery and curried taste to it which gave it an 'Asian' flavour. 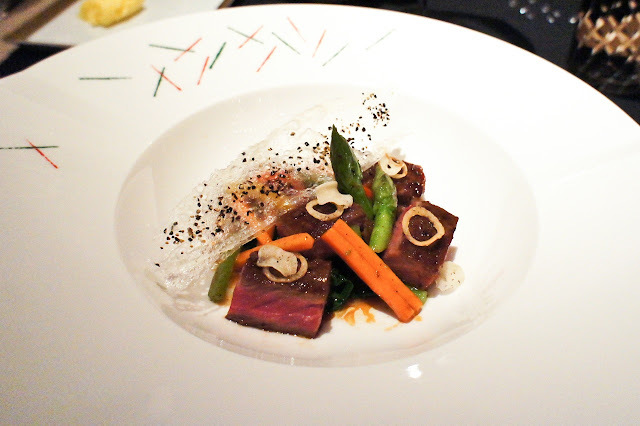 Le Boeuf: Beef ribeye, wasabi spinach and a medley of bell peppers - This was also cooked to perfection. The beef was juicy and tender and the sauce was amazing. 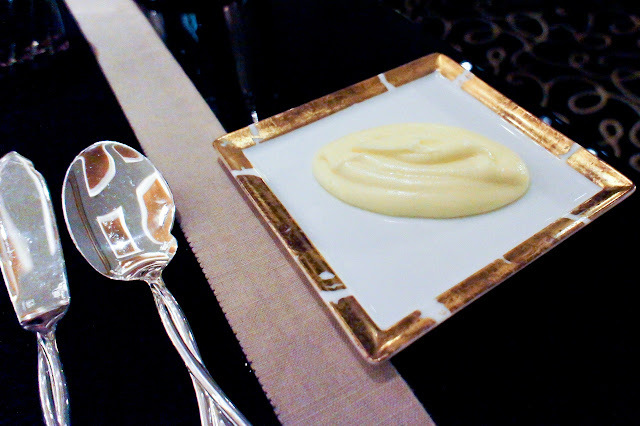 Robuchon's signature mash potatoes - This accompanied our main courses. Simple but divine. 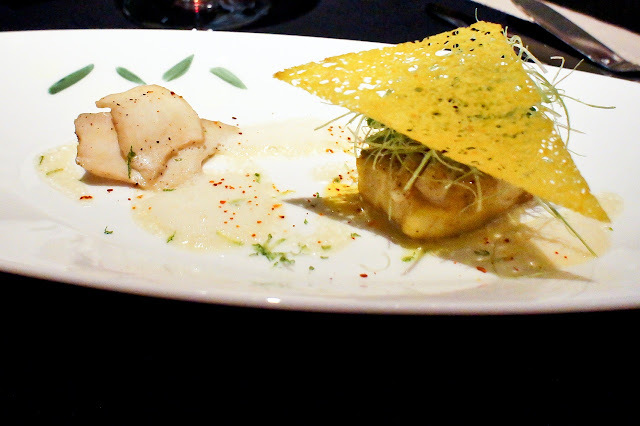 Le Turbot: Cooked in a casserole with jus of artichokes - Another one of their signature dishes. I loved the artichoke sauce, but I felt the Turbot was slightly overcooked and had lost some of its texture. That said, I have eaten some of the best Turbot in the world and had my taste buds spoilt already (see earlier review on the Turbots: Le Meurice and Ledoyen). 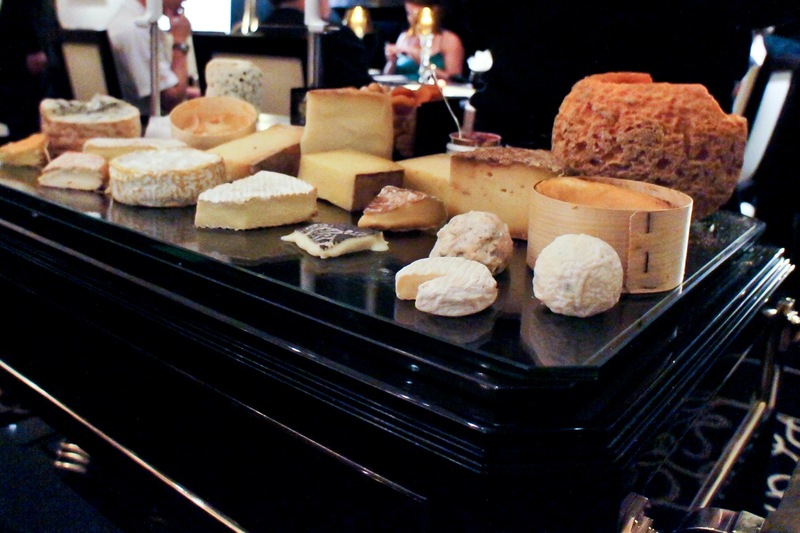 The cheese platter contained the usual suspects with the common french cheeses. 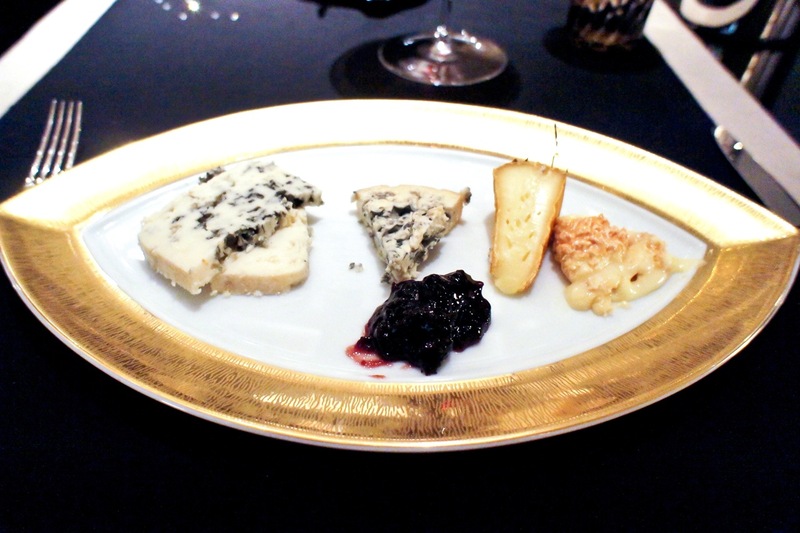 Reasonably good but this time there wasn't any particular cheese which stood out as being special. We were celebrating a birthday this time and the restaurant was kind enough to wheel out a birthday cake. 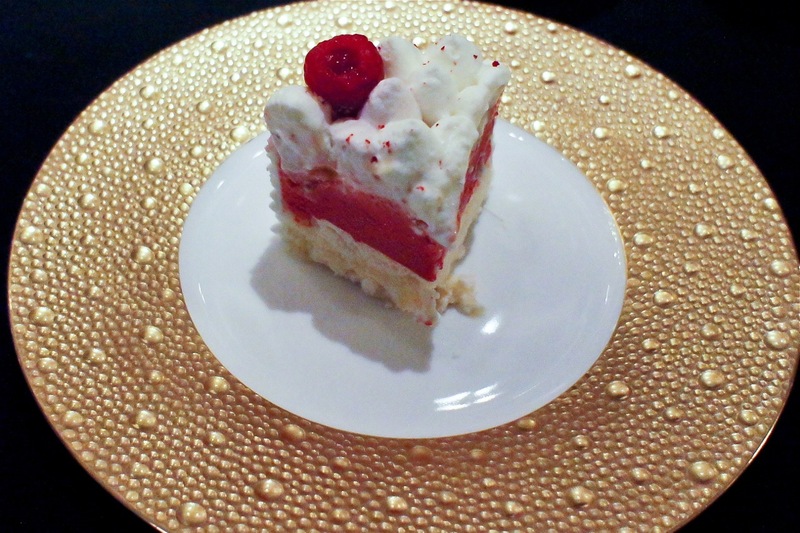 It was a very nice raspberry ice-cream cake with pineapple meringue. Throughout dinner, we noticed that the restaurant wheeled out cakes for almost half of the tables; it seemed like there were many birthdays celebrated that night. Le Rose Fleuri: Lightness of cheesecake with vanilla from Tahiti, coloured fruit in season - Another signature dish, this was rather good. The description was correct in that it tasted like a cheesecake without being too heavy. Accompanying it was a champagne sorbet on a toothpick. 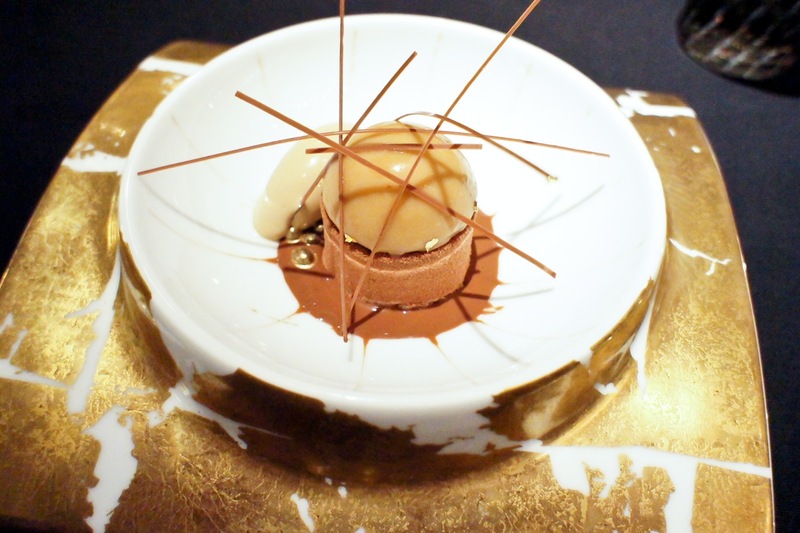 Le Mikado: Orizaba chocolate, flower of salt crumble, coffee dome - This was also very good. It was not too chocolaty and was a light end to a very heavy meal. Fortunately this time they did not bring out a trolley of sweets as we had just about eaten enough for the rest of the week. 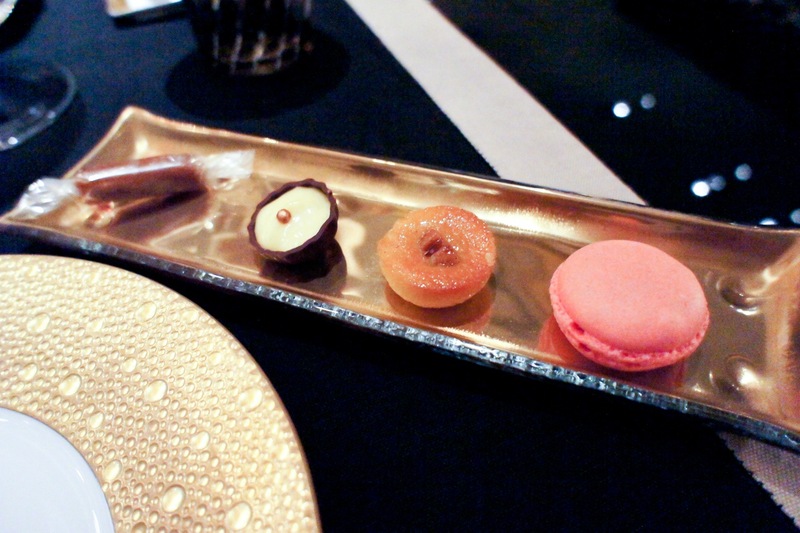 Final Thoughts: Very high standard of fine dining, fully consistent with the standards expected of Robuchon. Wine list was reasonably broad with the expected emphasis on the French. Dining room was comfortable and the service was good. 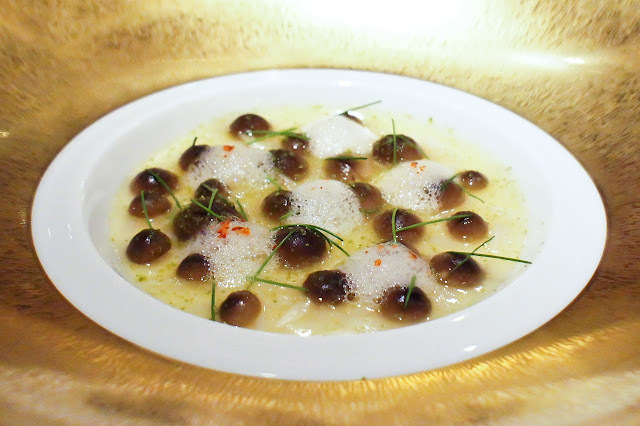 With this and Santi (see earlier reviews: Santi 1 and Santi 2) opening up in Singapore, we are comforted that we no longer need to travel abroad for some proper European fine-dining experiences.